Since 1973, Congregation Beit Simchat Torah has tried to reconcile traditions transmitted across the millenniums with traditions that its members — gay, lesbian, bisexual and transgender Jews — have often had to make up on the fly, battling hostility, indifference and the AIDS epidemic at the same time. All told, the congregation hopes to raise $17 million to $18 million to cover the entire project, including the purchase. Mr. Blau said that $11 million had been pledged and that construction would not begin until the fund-raising was completed. 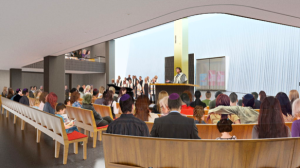 If that goal is reached quickly, there is a chance that the new synagogue could be open during the congregation’s 40th anniversary year. But Passover 2014 may be more realistic. 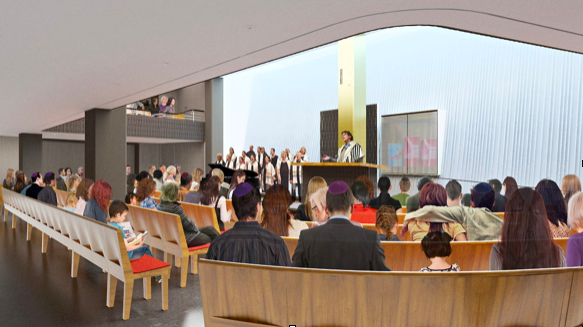 Read the the full article by David W. Dunlap of the New York Times at: http://cityroom.blogs.nytimes.com/2012/06/21/synagogue-for-a-gay-congregation-designed-with-acoustics-in-mind/?_r=0. ← CBS News: First gay wedding day in N.Y.